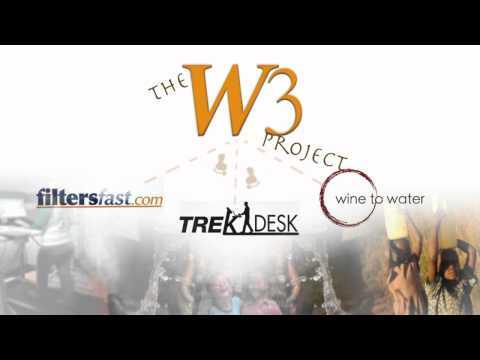 W3, formed between TrekDesk, WinetoWater.org and FiltersFast, lets you donate the miles you walk to bring fresh drinking water to millions in need. The W3 Project is building a community of humanitarians who walk in pursuit of health and wellness for themselves and the underprivileged world wide. Through the combined efforts of W3 Partners $1,000,000 will be raised to dig wells and provide filters in villages around the word that lack access to fresh drinking water while simultaneously spreading the health message of continual daily movement. In underprivileged villages and communities throughout the world people exert approximately 40 Billion hours annually walking to access water so polluted that it kills 3 children every 60 seconds. Conversely, in the United States where fresh drinking water is in abundance people spend approximately 1.3 trillion hours sitting. 68% of America's adult population is overweight or obese, a condition causing more than 58 obesity related diseases and accounting for 3 deaths every 10 minutes. 1 child dies every 20 seconds in the world due to lack of clean drinking water which equates to an annual child mortality rate greater than AIDS, malaria and measles combined. 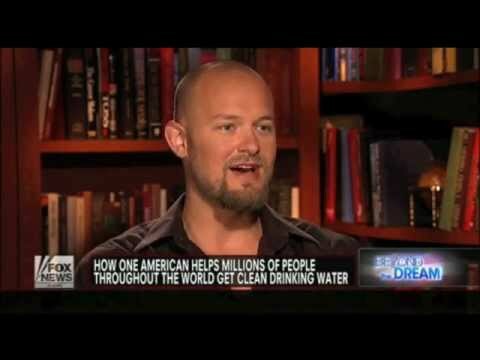 1 Billion people lack access to fresh, clean drinking water world wide. $1.00 can bring a year's supply of fresh drinking water to a fellow human being in need. can help those in need. 3 children die every 60 seconds from a lack of access to fresh water. This is a tragedy that we all have the power to change. Your First Step: Donate your miles. The miles you walk can benefit more than your individual health and well-being, it can improve the health of the less fortunate world wide without any extra cost to you. Your Second Step: Learn more. Read the incredible story of a former bartender who decided he had to do something to change the health of millions of needy worldwide. One man, one decision, one step. We all have this power inside of us and Doc Hendley’s book, Wine to Water: A Bartenders Quest to Bring Clean Water to the World, will inspire you in ways you can’t yet imagine. Please read the W3 Press Kit ( located on the bottom left of this text box), a partnership dedicated to improving health on a global scale. This PDF will explain the story behind W3 in detail. Step Three: Get involved. Have a personal/business blog, web site or Facebook page? Please let others know about the W3 program. Step Four: Join the Movement Revolution: This is as simple as following TrekDesk on Facebook and on Twitter. Here you can join a global community dedicated to spreading the health message of movement and committed to affecting real change in the health of the world. TrekDesk is pleased to be affiliated with EveryBodyWalk.org. EveryBodyWalk.Org is an online educational site aimed at getting Americans up and moving, a walking hub, containing news and resources on walking, health information, walking maps and how to find walking groups. More news on the most walker-friendly cities in America. Is your city on the list? If not, tell them why it should be! Want to rebuild a relationship? Try walking! And enjoy this beautiful mother-daughter journey across Scotland. Want to change things in your world? Walk! EveryBodyWalk.org features a full library of videos on the health benefits of walking. Watch them here. EveryBodyWalk.Org features a unique tool that allows you to meet new friends and find walking groups in your area.